Paid advertising is a necessary component to ensure you are maximizing your visibility in search engines. Engage patients active on their hearing healthcare journey in your local market with Google Ads. Talk to our team of experts about greater web exposure and ROI, especially when combined with organic search (SEO). Many companies choose to outsource PPC management to third parties with no expertise in the hearing healthcare market, producing nominal, if any, return on investment. 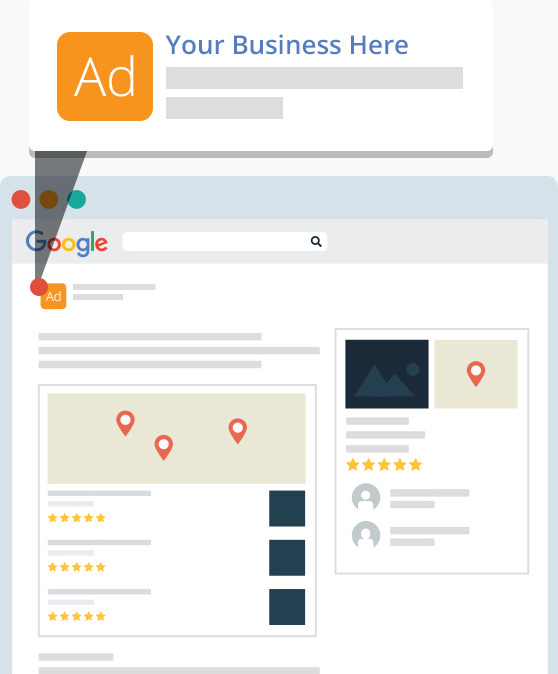 We offer a well-managed Google Ads program utilizing best practices that include selecting high-quality, relevant keywords pertaining to your clinic, in order to reach only the most quality leads. Our team of experts will continually optimize your campaign to ensure your ads are reaching quality leads and converting. Through call tracking and in-depth reporting tools, our Google Ads program includes in-depth monthly reporting and ROI analysis. Your dedicated Account Manager will provide guidance and expertise to ensure you’re continually informed on the performance of your campaign. PPC offers even greater web exposure and ROI when combined with organic search (SEO). Why invest in google ads? Grow more patient leads with the experts in digital marketing and hearing healthcare.